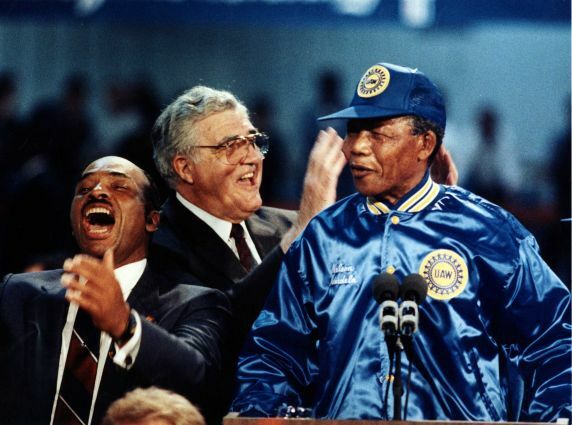 Nelson Mandela addresses the crowds at Tiger Stadium during his visit to Detroit, Michigan. Directly behind him stands his longtime supporter, UAW president Owen Bieber. At left is UAW vice-president Marc Stepp.